Item # 289233 Stash Points: 3,495 (?) This is the number of points you get in The Zumiez Stash for purchasing this item. Stash points are redeemable for exclusive rewards only available to Zumiez Stash members. To redeem your points check out the rewards catalog on thestash.zumiez.com. Stay cool while you heat up in the Clima Club Jersey from adidas. 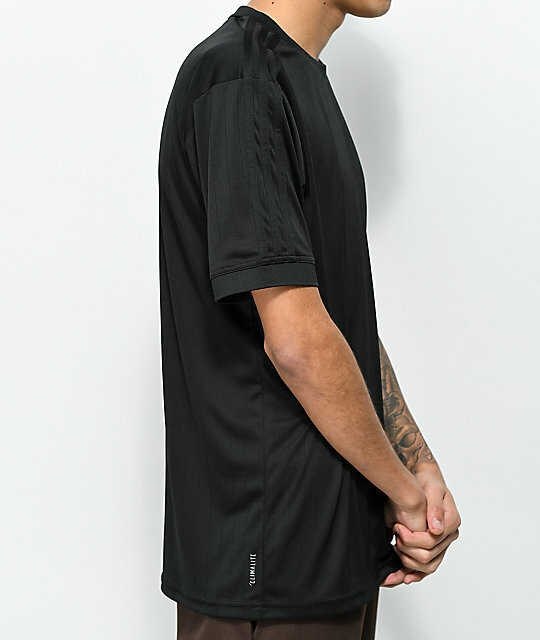 This classic jersey features a Climalite construction that pulls sweat away from your skin to keep you cool and dry. 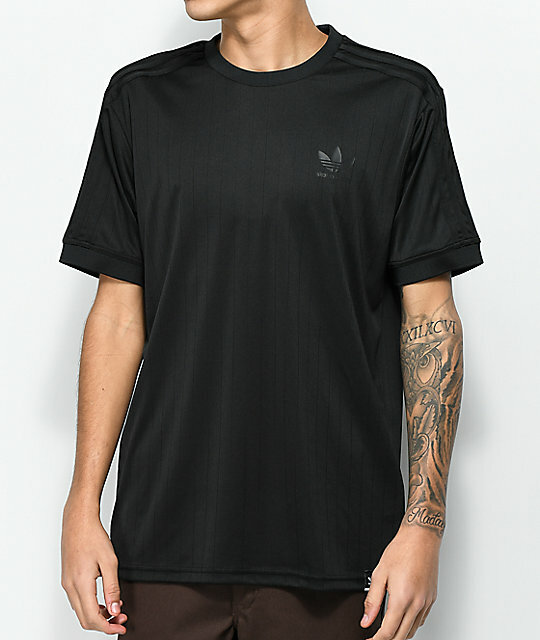 The all black tagless constructed jersey is equipped with a black adidas trefoil logo graphic on the left chest and finished with iconic black knit three stripe detailing on the shoulders and sleeves. 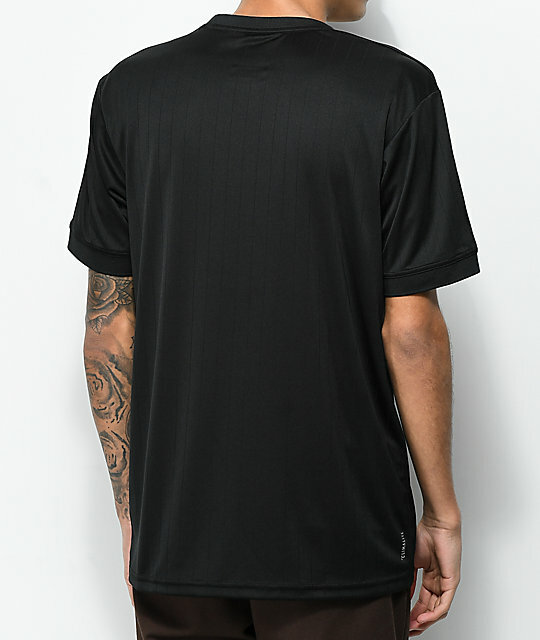 Clima Club Black Jersey from adidas. Climalite fabric wicks away moisture. 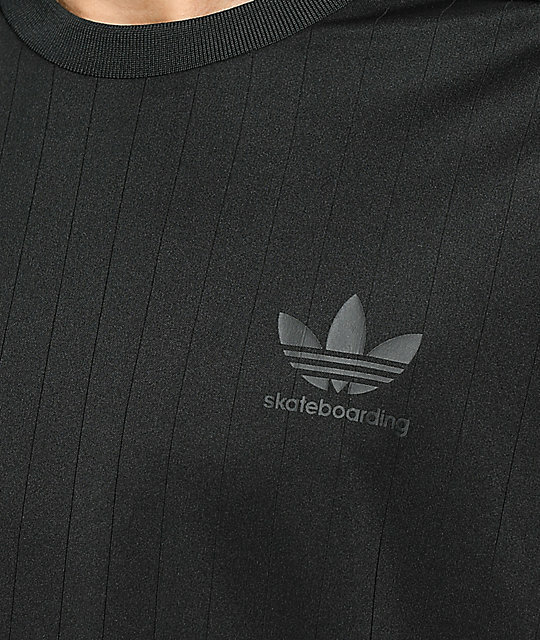 Screen printed adidas skateboarding trefoil logo on left chest. Black ribbed collar & sleeve cuff trim. Applied black 3-Stripes down sleeves.